Depending on the demography, level of economic growth and existence of economically backward regions and communities, a progressive tax policy with efficient administration can lead to income and wealth distribution. This objective of efficient administration of tax policy is associated with the management of fiscal policy. 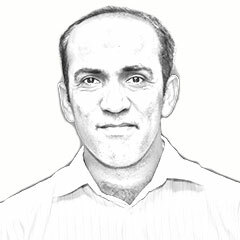 For the last many decades, in case of Pakistan, fiscal mismanagement has been of serious concern. The maladministration particularly was in terms of revenue collection while setting tax collection targets for a fiscal year. This mismanagement can be viewed from the percentage of direct tax collection against indirect tax collection by each of the revenue authority working in Pakistan. Before the 18th amendment, the taxpayer was only to deal with Federal Board of Revenue (FBR) for tax payments. Following the18th amendment, where revenue collection was made the provincial subject, each province came up with its revenue authority to help provincial government in managing the balance between revenue and expenditure. Data in this regard has shown that none of the revenue authorities contributed significantly to manage the balance between revenue and expenditure. Revenue authority within each administrative unit of Pakistan heavily relied on indirect taxes. 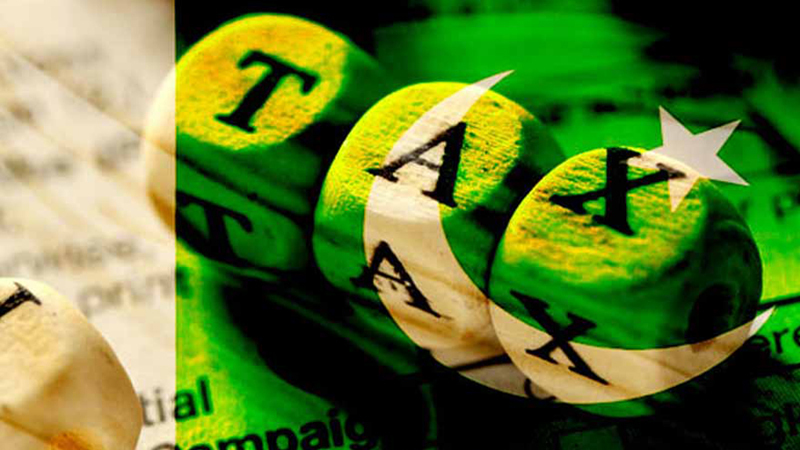 For example, during the fiscal year 2016-17, FBR collected 61 percent indirect tax against 39 percent direct tax, Punjab collected 78 percent indirect against 22 percent direct tax, Sindh and Balochistan collected 92 percent indirect against 8 percent direct tax and Khyber Pakhtunkhwa collected 84 percent indirect against 16 percent direct tax. Based on this lower contribution to resource mobilisation in particular and economy in general, it can be argued that there are certain challenges which taxpayers and governments at both federal and provincial level faced. In other words, it is a complicated and irrational tax system which resulted in low reliance of taxpayers on the system. As a result, it cost the government in managing revenues and expenditures. This year, there will be new governments coming at the federal and provincial level. There is an utmost need to look into the challenges faced by the governments while managing tax system within their jurisdictions. Some of the major challenges faced by the business community and tax authorities were identified by the Sustainable Development Policy Institute (SDPI) in yearlong research work on tax reforms in Pakistan. First, a critical issue which business community highlighted from 2013-18 was ‘fragmentation in the collection’, which in turn enhances compliance cost. Apart from the FBR, at the provincial level, multiple collection authorities are resulting in increased return forms, and doors opened for a higher level of rent-seeking. The audit function is also complicated as currently several of these tax authorities are not linked with databases of FBR and Pakistan Revenue Automation (Pvt) Ltd.
Second, provinces continue to rely on outdated forms of taxes and their rates have also not been changed (in some cases) since long. There is a need for urgent revaluation in case of property taxes, stamp duties, motor vehicle levies, agriculture income tax, duties on utilities, professional tax, capital tax, and entertainment duty. There is also the limited scope of optimal collection from infrastructure. This also applies to much-needed improvements to increase non-tax revenue collection particularly in the case of irrigation and community services. Third, challenges also exist with regards to the collection of GST on services. The book entitled ‘Pakistan’s Agenda for Economic Reforms’ by Vaqar Ahmed also highlighted that for optimal collection of GST on services, none of the provinces has conducted a census of services establishment. The already undocumented economy in services allows a sizeable off-the-radar activity in private education, medical centres, transportation, accountancy services, retail outfits and beauty parlours. Fourth, in continuation to the collection of GST on services, the data on services establishment is missing. Validating already available data on services establishments is difficult. There is a sizeable informal sector in services, and very often, there is cascading in GSTs due to non-availability of value added tax mechanisms. Such challenges are also due to the lack of use of scientific methods in deciding the tax rates, the actual levies ultimately resulting in a confrontation between the taxpayers and authorities. The tax on internet and oil transporters during 2016-17 is a case in point. Besides these challenges, there are other sources of friction between the federal and provincial authorities.These arise due to double taxation where the definition of output or service is not clear,some federal SROs allowing preferential rates which are counter to the intentions of provincial governments, unclarity of jurisdiction over certain services, FBR collecting the workers contribution for Workers Welfare Board, MoU regarding input adjustment with FBR not implemented efficiently, and new valuation rates for immovable properties may be higher than market rates in some cases. Since the federal budget for 2018-19 is also around the corner, and the year will see new governments in each administrative unit, this is the right time to voice for tax reforms for better fiscal management. First, there is a need to reform the provincial taxes. As also stated in the book ‘Pakistan’s Agenda for Economic Reforms’, the issue of double taxation where FBR is found to be charging excise on activities already paying GST sat the provincial level, may be resolved. The identification and assessment of services sector incomes and assets can be improved through a provincial census of services and establishment. Second, there is a need to reduce the compliance cost faced by businesses across the country. This reduction in compliance cost can be achieved through a) consolidation of taxes at the provincial level, b) merger of provincial revenue authorities, c) introducing IT-enabled single tax return across the country and d) reduction in withholding mode of tax collection. Third, the deposit of tax liability may be made centrally with auto-transfer of the collected provincial amount to provincial revenue authorities. The audit function of all revenue authorities can also be integrated through the integration of database of income and wealth sources at the provincial level. Provinces may also get access to databases of income and wealth sources available with the federal government. Provinces on their own can also improve audit systems through regular GIS-based validation of land holdings, commercial, wholesale and retail activity. Fifth, as recommended by TRC as well, the federal government in coordination with the provincial governments needs to agree on a valuation mechanism for properties in various categories which need to be revised every year through independent, credible values. Sixth, the research capacities at the provincial revenue bodies also need to be expanded. There is a need for the consistent macroeconomic framework at the provincial level. Furthermore, all provinces have to update tax gap and tax incidence studies. The forecasting revenues on scientific lines will go a long way in defining space for development spending. As the budget for 2018-19 is around, and political parties are also in the process of getting their manifestos on the basis of which voters will be asked for a vote, these recommendations will help in not only the smooth functioning of the business but will also help in bridging the gap between revenue and expenditure. For fiscal management, in the long run, these recommendations will benefit not only for government functioning but will also assist in supporting transition period. Published in Daily Times, April 10th 2018.